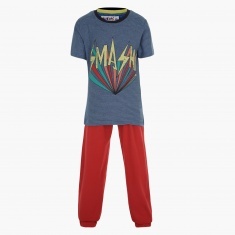 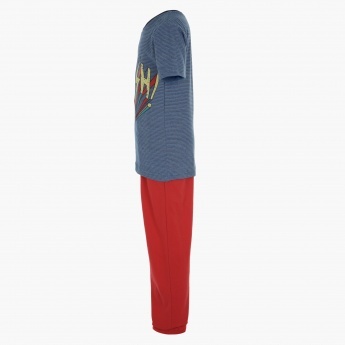 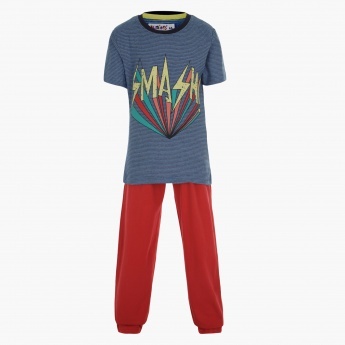 Ensure a comfortable night's sleep for your boy in this set. 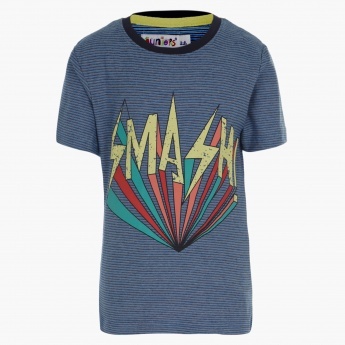 The striped t-shirt comes in neutral shade and sports an attractive graphic at the front. 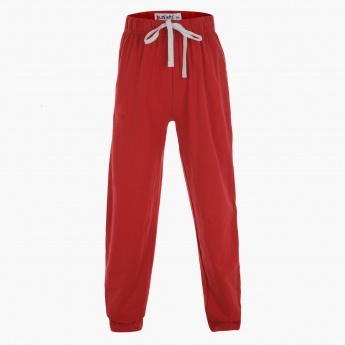 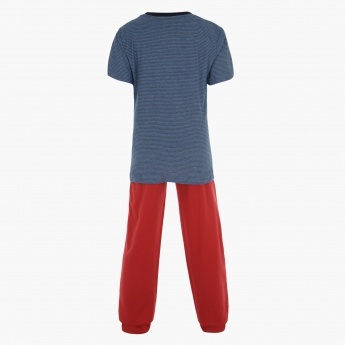 In a contrast shade, the drawstring pyjamas complete the outfit.